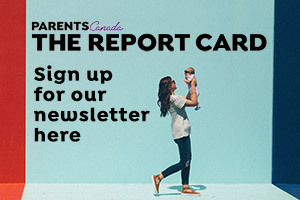 Dr. Marla Shapiro, family physician and founding editor of ParentsCanada magazine answers questions about your children's health questions and gives health advice. My 10-year-old is starting to get moody and sometimes complains of abdominal cramps. Is she too young to be getting her first period? What should I expect? How do I get my eight-year-old to wear a bike helmet when none of his friends do? Is it really going to do much if he falls? It’s finally warm weather but my whole family is nursing a cold. I didn’t think you could get a cold in the summer. What gives? The answer to this question in a word is – variable! I think we all agree that the best so-called homemade formula is breast milk. Gripe water is a liquid that is often used for reasons ranging from colic and stomach upset to teething pain. I understand vaccines can wear off in some adults. How do I tell if I need a booster shot for measles? Touchy Subject: Is full-day kindergarten too much for four-year-olds? Teaching independence with Philips Sonicare for Kids!